Cost and Quality: Can Today’s Web Marketing Firms Live up to the Expectations of Business Clients at a Decent Price? It sounds clichéd, but it’s true: things cost money, and good things cost a lot of it. If you study a bit of economics and read up on some history, you come to realize why the “Gibson SG” electric guitar, or finely made kimono from Nagoya, is as expensive as it is. The quality of work that goes into that stuff is high, so the price for it is higher. So be it. But can quality and cost go together in harmony? In this day and age, one would hope so. In fact they can, primarily if you are in online business. If you seek out an online marketing company for your business needs, you shouldn’t have to break the bank to get good business results. This is what search engine optimization company (SEO) Numero Uno Web Solutions Inc. in Toronto, Canada, believes. We’ve come up with the right client mandate to support our theory. The ideal Toronto SEO company boasts a good roster of talent. They have all the Toronto SEO experts and/or others who can provide great service to pros. This may or may not be the case, in reality. The staff at some of these places might be great, but their fees are huge. Worse, they aren’t what they claim, and still charge a lot. Numero Uno knows the value of good staff–we employ the best–but we also understand the concept of value for clients, too. Clients seeking SEO and other online business services are not made of money, so we work to really toe the line, delivering real, honed, and proven online business services that won’t make our clients re-mortgage their houses. At Numero Uno Web Solutions Inc., we understand that only the real pros should be rewarded, and that our clients will be proud of our team’s great performance. Go to your laptop, and search out “cheap SEO company Toronto”. Suffice to say, you’ll get a lot of results. They offer the sun and the moon in terms of online business services. Great. But can they deliver? Maybe or maybe not. Quality is always a factor, and a lot of these folks really do live up to their “cheap SEO company Toronto” tag. They just aren’t up to snuff in terms of real service delivery. But, Numero Uno Web Solutions has tapped the wellspring. As a real web marketing company in Toronto AND a real article submissions company in Toronto, we have the real services on hand. SEO? Of course. Article and content creation? Sure. Analytics? Absolutely. We do it all, delivering it to you. In short, we know clients want the real services, the best services, delivered to them, be they in Toronto or elsewhere. 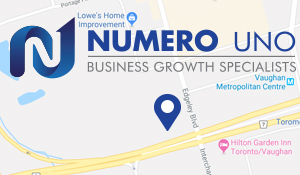 It might be tough for other companies, but Numero Uno can give the real services, delivered to its clients with pride. Quality services and client-minded costs are a high-wire act for other companies. But at Numero Uno Web Solutions Inc., it’s what we do. Tough, skilled, and knowledgeable, we are ready to walk the high wire, and succeed for you.